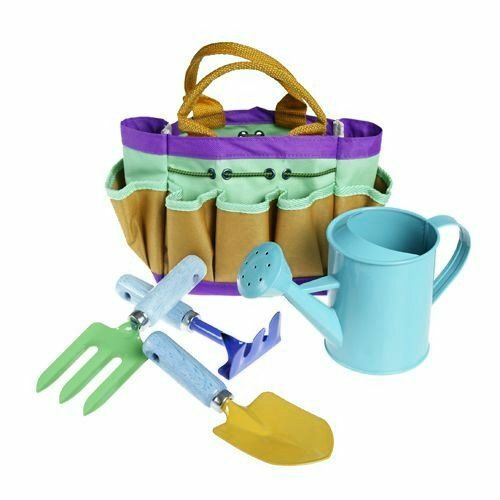 Children's Gardening Set and canvas bag, includes mini watering can, fork, trowel & rake.Ã‚Â We've even included a pair of green gardening gloves to keep fingers safe and clean! This makes a fun gift, yet is also really practical. Why not get the kids a set to keep at Granny's - we're sure she would appreciate their valuable help!